Joint preservation is the process of preserving the body’s natural anatomy and biological structures rather than replacing the damaged joint tissues with manufactured prostheses. It is focused on the treatment of osteoarthritis and other types of cartilaginous and bony joint damage using a variety of approaches. At Meier Orthopedic Sports Medicine, Dr. Steven Meier is an expert in the specialized field of joint preservation and utilizes the proper combination of surgical and non-surgical treatments designed to achieve the best result for each individual patient’s needs. To learn more about joint preservation and how it may be able to help you regain pain-free function in your body articulation points, contact us today for orthopedic services and sports medicine. Patients at Meier Orthopedic Sports Medicine are varied, including professional athletes, exercise enthusiasts, and those suffering from arthritis after motor vehicle accidents. Our goal in treating every patient is to determine what their optimal goal is and to try to get them as close to that ideal as possible. Not everyone will be able to achieve the exact level of activity they were used to before their injuries, but we are experts at listening to the desires of the patient, and getting them back to functioning as pain-free as possible in their everyday lives. Proper knee function requires cartilage that allows for smooth gliding on the ends of the bones. This surface is made up of a thin, slippery layer. In addition to enabling movement, joint cartilage also helps distribute the force of repetitive and pounding movements. Autologous chondrocyte implantation (ACI) – a surgical procedure that uses cells from a patient’s own cartilage to grow new cartilage that is then implanted in the joint. Cartilage allografts – an allograft is a surgical technique that removes the damaged section of bone and cartilage and replaces it with plugs of healthy tissue from an outside donor. Meniscus Repair – a meniscus repair is a type of surgery that involves stitching a torn meniscus back together so that it can heal. Osteotomy is a type of joint preservation surgery in which the bone is cut and reshaped in order to relieve pressure on the joint. The purpose is to shift the weight away from the damaged cartilage and onto an area with healthy cartilage. This often occurs in the knee where cartilage breakdown tends to affect the inner part of the joint. medlineplus.gov has more information about osteotomy surgery. Ligament reconstruction is a type of surgery done to rebuild damaged ligaments with the use of a new ligament. Ligament tears often occur suddenly and are accompanied by a popping sound. A small number of ligament tears will heal without surgery, but most will require surgical reconstruction. The surgery involves removing a piece of tendonous tissue and implanting it in place of the damaged ligament. The tendon is fixed to the bone using biodegradable screws and the body is left to reestablish blood supply to tendon and create a new living ligament. The meniscus is the crescent-shaped cushion of cartilage in the knee, acromioclavicular, sternoclavicular, and temporomandibular joints. If the meniscus becomes too badly damaged to be repaired it may have to be removed and replaced with donor cartilage. The purpose of meniscus transplantation is to replace the damaged meniscus cushion before the cartilage in the joint (articular cartilage) is damaged. The recovery period is a little longer, and patients must be very careful while ambulating for the first several weeks. Physical therapy is a supervised rehabilitation program designed specifically for the patient and the patient’s injury/condition by licensed physical therapists. It is one of the most important aspects of helping to restore the body to proper function after injury or surgery. Regenerative medicine techniques use a variety of injections to treat conditions such as ACL injuries, Achilles tendonitis, and osteoarthritis. Injection therapy may include platelet-rich plasma treatments (PRP) and hyaluronic acid injections. PRP is a type of injection therapy that uses a higher concentration of platelets than found in normal blood. This concentration of platelets helps joint injuries heal faster than normal. Platelet-rich plasma is made by drawing blood from the patient then preparing it in a special machine, which includes a centrifuge. Finally, the PRP is injected into the area of the injury. This concentrated dose of a patient’s own platelets and growth factors can potentially lead to a quicker healing process. Hyaluronic acid (HA) injections help provide lubrication and nutrients to the joints, which act as a form of shock absorption when moving. The HA injections are administered directly into the damaged joint to decrease inflammation and restore the natural amount of fluid in the joint, easing movement and allowing the body to heal. What are the Advantages of Joint Preservation over Joint Replacement? The advantages of joint preservation are reductions in pain and inflammation, increased mobility, return to function, a more natural range of motion and strength capabilities, and the delay or prevention of the need for full replacement/destruction of normal body anatomy. 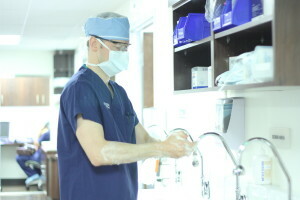 Steven W. Meier, MD, is a board-certified surgeon with experience in multiple therapeutic techniques, including exercise programs, rehabilitation, and minimally invasive orthopedic services and sports medicine, including surgery. He is also a world-renown expert in joint preservation and joint preservation surgery. If you are suffering from joint degeneration, it is important to get the right treatment. 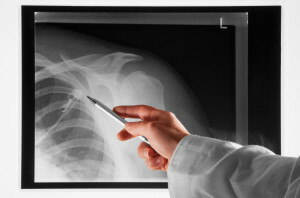 Don’t hesitate to contact the orthopedic experts at Meier Orthopedic Sports Medicine today. Next, please read about Regenerative Medicine.